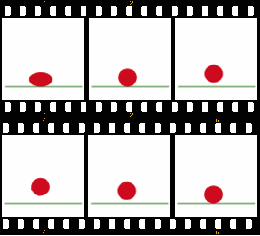 Kane is known for his animation work. 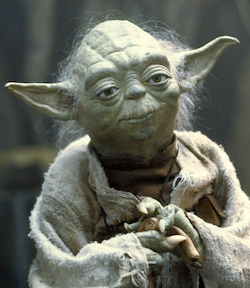 Notable roles include Jedi Master Yoda and Admiral Yularen in Star Wars: The Clone Wars feature film and TV series, The Chancellor in 9 , Magneto in Wolverine and the X-Men and Marvel vs Capcom 3: Fate of Two Worlds , Ultron in Next Avengers: Heroes of Tomorrow and The Avengers: Earth's Mightiest Heroes , Mr. Herriman in Foster's Home for Imaginary Friends , Lord Monkey Fist on Kim Possible , Professor Utonium and Him in The Powerpuff Girls . He has voiced Oxnard Montalvo in The Angry Beavers and the chimpanzee sidekick Darwin in The Wild Thornberrys . Kane is also a prominent video game voice actor, appearing in numerous titles - from bit parts, to major roles such as Gandalf, Professor X and lead characters in many Star Wars games like Star Wars: The Force Unleashed as Imperial Captain Ozzik Sturn, Lobot and Kento Marek (the father of Sam Witwer's Galen Marek) thanks to ILM's motion capture technology. In Call of Duty: World at War , Call of Duty: Black Ops , Call of Duty: Black Ops II , Call of Duty: Black Ops III and Call of Duty: Black Ops IIII , he provides the voice of Takeo Masaki, a Japanese WWII soldier in the Zombies game mode. Gandalf is a fictional character and a protagonist in J. R. R. Tolkien's novels The Hobbit and The Lord of the Rings. He is a wizard, member of the Istari order, as well as leader of the Fellowship of the Ring and the army of the West. In The Lord of the Rings, he is initially known as Gandalf the Grey, but returns from death as Gandalf the White. The 78th Academy Awards ceremony, presented by the Academy of Motion Picture Arts and Sciences (AMPAS), took place on March 5, 2006, at the Kodak Theatre in Hollywood, Los Angeles beginning at 5:00 p.m. PST / 8:00 p.m. EST. The ceremony was scheduled one week later than usual to avoid conflicting with the 2006 Winter Olympics. 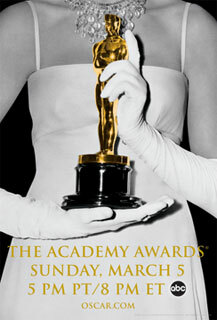 During the ceremony, AMPAS presented Academy Awards in 24 categories honoring films released in 2005. The ceremony, televised in the United States by ABC, was produced by Gil Cates and directed by Louis J. Horvitz. Actor Jon Stewart hosted the show for the first time. Two weeks earlier in a ceremony at The Beverly Hilton in Beverly Hills, California held on February 18, the Academy Awards for Technical Achievement were presented by host Rachel McAdams. On April 13, 2012, Kane took over for Joe Hursh as the voice of the Walt Disney World Monorail System. 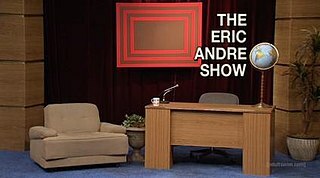 In 2013, he took over as the announcer of The Eric Andre Show , replacing Gary Anthony Williams. The Walt Disney World Monorail System is a public transit monorail system in operation at the Walt Disney World Resort in Bay Lake, Florida, near Orlando. The Walt Disney World Resort currently operates twelve Mark VI monorail trains on three lines of service. The monorail system opened in 1971 with two routes and with Mark IV monorail trains. It was expanded to three lines in 1982, and the rolling stock was updated to Mark VI trains in 1989. The Eric Andre Show is an American surreal comedy television series on Cartoon Network's late night programming block, Adult Swim. The show premiered in the United States on May 20, 2012, and is a parody of low-budget public-access talk shows. The series is hosted by comedian Eric Andre and co-hosted by comedian Hannibal Buress. As of February 2018, all episodes have been directed by Kitao Sakurai and Andrew Barchilon. Gary Anthony Williams served as the announcer in the first season, being replaced by Tom Kane in the second season and Robert Smith from the third season onwards. Gary Anthony Williams is an American actor and voice actor. He provided the voice of Uncle Ruckus on The Boondocks, Yancy Westridge in the video game Alpha Protocol, and Horace Warfield in StarCraft II: Wings of Liberty and StarCraft II: Heart of the Swarm. He appeared on the television series Weeds, Boston Legal, Blue Collar TV and as Abe Kenarban in Malcolm in the Middle. Williams co-founded and is Artistic Director of the L.A. Comedy Shorts film festival in Hollywood, California. He starred alongside Cedric the Entertainer on the TV Land sitcom The Soul Man, He has been a recurring guest on the improv comedy TV series Whose Line is it Anyway, and is a regular member of the live improv comedy show The Black Version. Kane made his debut in the Star Wars film saga as the voice of Admiral Ackbar in 2017's Star Wars: The Last Jedi , taking over the role from the late Erik Bauersfeld. He had experience in voicing the character on several occasions for video games in the franchise prior to the film's release. Fleet Admiral Gial Ackbar is a fictional character in the Star Wars franchise. A member of the amphibious Mon Calamari species, Ackbar was the foremost military commander of the Rebel Alliance, leading a small underequipped navy. Ackbar's tactical flexibility and military intelligence aided the Alliance's major combat operations against the Galactic Empire. Ackbar played a supporting role in the 1983 film Return of the Jedi, and later became a prominent character in the novels, comic books and other media of the Star Wars expanded universe. Star Wars: The Last Jedi is a 2017 American epic space-opera film written and directed by Rian Johnson. It is the second installment of the Star Wars sequel trilogy, following The Force Awakens (2015), and the eighth episode of the main Star Wars film franchise. It was produced by Lucasfilm and distributed by Walt Disney Studios Motion Pictures. The film's ensemble cast includes Mark Hamill, Carrie Fisher, Adam Driver, Daisy Ridley, John Boyega, Oscar Isaac, Andy Serkis, Lupita Nyong'o, Domhnall Gleeson, Anthony Daniels, Gwendoline Christie, and Frank Oz in returning roles, with Kelly Marie Tran, Laura Dern and Benicio del Toro joining the cast. It features the first posthumous film performance by Fisher, who died in December 2016, and the film is dedicated to her memory. 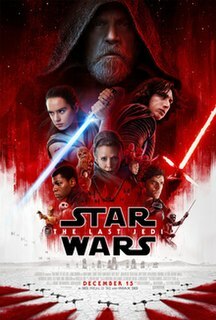 The plot follows Rey as she receives Jedi training from Luke Skywalker, in hopes of turning the tide for the Resistance in the fight against Kylo Ren and the First Order, while General Leia Organa, Finn, and Poe Dameron attempt to escape a First Order attack on the dwindling Resistance fleet. Erik Bauersfeld was an American radio dramatist and voice actor. His most notable role was providing the voices of Admiral Ackbar and Bib Fortuna in the third film of the original Star Wars trilogy, Return of the Jedi (1983). He reprised his role as the voice of Admiral Ackbar in Star Wars: The Force Awakens (2015). David V. Hope, better known by his stage name David Kaye, is a Canadian voice actor. He is best known for his roles in animation, including Megatron in five of the Transformers TV series, Optimus Prime in Transformers: Animated, Professor X and Apocalypse in X-Men Evolution, Cronus in Class of the Titans, Khyber and Shocksquatch in Ben 10: Omniverse, Vision and J.A.R.V.I.S. in Avengers Assemble as well as Reginald and others in Regular Show. He is also well known for his work on English versions of anime, his notable roles being Sesshomaru in Inuyasha and Treize Khushrenada in Mobile Suit Gundam Wing. He voices Clank in the Ratchet & Clank series and the feature film. His voice is featured in the Academy Award-winning Disney/Pixar film Up and is the announcer for Last Week Tonight with John Oliver on HBO. Corey Gregg Weinberg, known professionally as Corey Burton, is an American voice actor, known as the current voice of Ludwig Von Drake, Captain Hook and many other characters for numerous Disney projects, Brainiac in the DC animated universe, several central characters for numerous Star Wars projects and Spike Witwicky and Shockwave in the Transformers universe. He has worked on numerous cartoon series for major networks such as Cartoon Network and has worked extensively with The Walt Disney Company and Disney theme parks. Cameron Arthur Clarke is an American voice actor and singer, known for his voice work in animation, video games and commercials. He is best known for providing the voices of Leonardo and Rocksteady in the original Teenage Mutant Ninja Turtles animated series and Shotaro Kaneda in the 1989 original Streamline Pictures English dub of Akira. He often voices teenagers and other similarly young characters. One of his prominent roles in video games was voicing Liquid Snake in the Metal Gear series. Keith Szarabajka is an American actor and voice actor known as Mickey Kostmayer in The Equalizer, Daniel Holtz in Angel, Harlan Williams in Golden Years, Trigon in Teen Titans, and Gerard Stephens in The Dark Knight. He is also known for portraying Detective Herschel Biggs in the 2011 crime thriller video game L.A. Noire, which included his likeness. Neil Ross is a British-born American voice actor and announcer, now resident in the United States, working in Los Angeles. Noted for his Trans-Atlantic accent, Ross has provided voices in many American cartoons, most notably Voltron, G.I. Joe and Transformers. He has also done voice work in numerous video games, including Mass Effect and Leisure Suit Larry 6 and 7. Ross has also provided voice roles for many movies, including Back to the Future Part II, Babe, Quiz Show, and Being John Malkovich. Pierre Laurent Renoudet, better known as Peter Renaday, is an American actor and voice actor. Studiopolis, Inc. is an American post-production studio located in Studio City, Los Angeles. It specializes in voiceover recording and dubbing for several cartoon, anime, and video game projects. They were formerly known as Screenmusic Studios and then Studio E Productions until 2005. The studio is owned by Jamie Simone. The Marvel Comics character called the Hulk has appeared in many types of media other than comics, such as animated and live action TV series, films, books, video games, comic strips, and stage shows. The Marvel Comics character Iron Man has appeared in various other media since his debut in Tales of Suspense #39. Iron Man has been the focus of three animated series and a direct-to-DVD animated feature. An Iron Man live-action feature film starring Robert Downey Jr. as the character and directed by Jon Favreau was released in 2008, with Downey also appearing as the character in a cameo in The Incredible Hulk, and as a main character in several other films in the Marvel Cinematic Universe including The Avengers, Avengers: Age of Ultron, Captain America: Civil War, Spider-Man: Homecoming, Avengers: Infinity War, and Avengers: Endgame. Stephen Walter Stanton is an American voice actor and visual effects artist. He is best known for his roles as Grand Moff Tarkin in Star Wars: The Clone Wars as well as Star Wars Rebels and Admiral Raddus in Rogue One. D23 is the official fan club for The Walt Disney Company. Founded in 2009, the organization is known mainly for its biennial exposition event, the D23 Expo. The name D23 refers to D for Disney and 23 for 1923—the year Walt Disney founded the company. The Marvel Comics superhero, Thor has appeared in a wide variety of media outside of comic books such as video games, films, and television programs. Rick Darrin Wasserman is an American voice, stage and television actor. Marvel Disk Wars: The Avengers is an anime television series produced by Toei Animation and Walt Disney Japan, based on the Marvel Comics universe. The series began airing in Japan from April 2, 2014, on TX Network stations. The series was aimed at boys 6–12 and tied in with merchandising produced by Bandai. ↑ "Disney monorail voice change: Walt Disney World changes narrator on monorail". OrlandoSentinel.com. June 28, 2012. Retrieved October 19, 2012. ↑ "Disney monorail voice change: Walt Disney World changes narrator on monorail". tribunedigital-orlandosentinel. Wikimedia Commons has media related to Tom Kane .